Through the late 1950's, the Montreal Canadiens were virtually unstoppable, boasting a Hall of Fame line-up that included two youngsters who contributed significantly to Stanley Cup victories -- Dollard St. Laurent and Phil Goyette. Dollard St. Laurent and Phil Goyette have been the best of friends since playing together on the Stanley Cup-winning Montreal Canadiens' teams of 1956-57 and 1957-58. Through nothing more than sheer serendipity, the pals enjoyed back-to-back days with the Stanley Cup while the trophy visited the Montreal area. 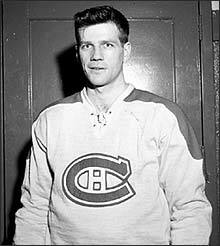 During the spring of 1957, Dollard St. Laurent was a 28-year old with five years of experience on the Canadiens' blueline and two Stanley Cup championships already on his resume. Conversely, Phil Goyette was a 24-year old NHL rookie who had played 14 games with the parent club during the regular season but had spent most of the campaign with the Montreal Royals of the Quebec Hockey League. 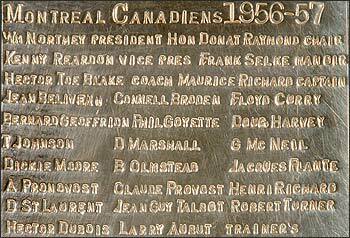 The Canadiens finished the regular season in second place behind the powerful Detroit Red Wings in 1956-57. In the semi-final, the Canadiens ousted the Rangers in five games, outscoring New York 22 to 12, including a highlight reel goal by Phil Goyette in Game 4. Dollard St. Laurent missed Games 3 and 4 of the semi-final when he was hospitalized with a fever. Dollard spent 7 seasons in Montreal, winning the Stanley Cup on four occasions. In 1958, he was sold to Chicago where he spent his final 4 NHL seasons, including 1960-61 when he got his name engraved on the Stanley Cup one additional time as a member of the Stanley Cup champion Black Hawks. But Detroit was rocked by the Boston Bruins and eliminated in five games, shocking the hockey world. 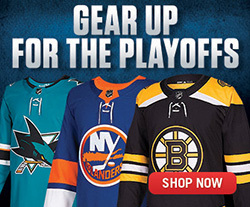 The Bruins, third in the regular season, moved on to meet Montreal for a shot at the Stanly Cup. With a stellar 4-goal performance from 'Rocket' Richard, Montreal blitzed Boston 5-1 in Game 1. Game 2 was tighter than a mouse's ear as the Canadiens edged Boston 1-0 on a goal by Jean Beliveau, assisted by a healthy Dollard St. Laurent. Game 3 was a third straight victory for Montreal, who won 4-2 including a third period goal from Phil Goyette, but Boston battled back and shut out Montreal 2-0 in Game 4. Game 5, an April 16 contest played at the Forum in Montreal, saw the Canadiens capture the Stanley Cup on home ice with a hard-fought 5-1 win. The game, a testy affair, featured St. Laurent involved in a stick duel with Johnny Peirson that resulted in Dollard drawing a major penalty when his highsticking creased Peirson. But the bloodshed and tears ended in laughter and cheers as Maurice Richard accepted the Stanley Cup on behalf of his teammates in bleu, blanc et rouge. At 4:00 pm on Monday, August 29, the Stanley Cup arrived at the Club de Golf de Beloeil, a private 18-hole golf course in Beloeil, a beautiful town on the South Shore of Montreal. Its host that day, Dollard St. Laurent, was on the course in the midst of a round when the Cup arrived but his son Michael greeted hockey's cherished bowl. Twenty-five or so kids waited outside the golf course's gate, hoping to catch a glimpse of the Cup. "Wait there, boys," said an executive with the golf club. "When the Stanley Cup arrives, we'll let you come in and take a look at it." The youngsters practically panted with anticipation, and once the Cup was placed within the grounds of the golf course, the executive hollered, "All right, kids. Come and get it!" The youngsters bolted as if the sprint to the Cup was an Olympic event. Each was orderly in spite of their anxiety and waited their turn for a photo in front of the Stanley Cup. Dollard had several high profile hockey guests join him, including nephew Andre St. Laurent, who played 11 seasons in the NHL himself and, of course, good friend Phil Goyette. The two pals posed for pictures with the Stanley Cup before heading back out onto the course to complete the round. 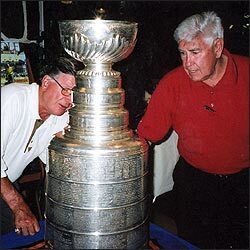 Once the golfers were back in the clubhouse, scrubbed and hungry, it was time for dinner and the Stanley Cup was placed on a table at the front of the hall during the elaborate, three-hour meal. Soup was followed by antipasto, then a serving of various meats, mushrooms and cheeses followed by dessert. As diners compared scores, St. Laurent and Goyette posed for more pictures with Lord Stanley's Cup. The West Island of Montreal is comprised of a number of boroughs, including Pierrefonds, Beaconsfield, Dollard-des-Ormeaux, Dorval, Pointe Claire and right in the centre, the destination of the Stanley Cup's next stop, Kirkland. Phil Goyette was hosting the Stanley Cup on Tuesday, August 30, and the location of choice was at the Kirkland home of his daughter, Lianne, and her husband Frank. The Stanley Cup rolled up in front of the suburban home at 2:00 that afternoon, and was carried to a table in the backyard. Phil's wife Ginette and daughters Suzanne and Lianne had done a masterful job of decorating the yard, using jerseys, artifacts, photos and materials reflecting the bleu, blanc et rouge of the Montreal Canadiens, with whom Phil won four Stanley Cup championships. One of the photos held particular charm. 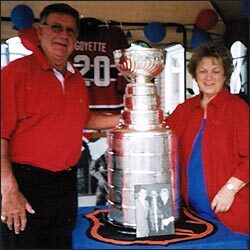 It was a shot of Phil and Ginette posing with the Stanley Cup in the late 1950's. On August 30, they got the chance to re-create that photograph almost fifty years after the original was taken. Family members and friends filtered in through the afternoon, including daughter Suzanne, her husband Bill and their children Alexandra and Charlotte as well as Lianne and Frank's children Bianca and Nicholas. Visitors arrived from Ottawa and Toronto to visit with Phil and the Stanley Cup, and the hockey star was kept busy all afternoon posing with the beautiful championship trophy, signing autographs and telling stories. "What was the difference between playing with the Canadiens and playing with other teams," Phil was asked. "Oh, there was no comparison at all, but my role was different," Phil replied. 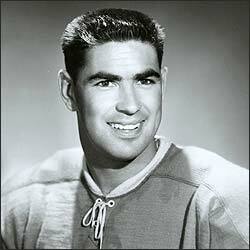 "I was a checker with Montreal and loved every second of my seven seasons with the Canadiens. But I got a chance to play a more offensive role with the New York Rangers and in St. Louis." Goyette bettered the 60-point mark three times in six seasons with the Rangers and enjoyed his best offensive season ever in 1969-70 with the St. Louis Blues, scoring 29 goals and adding 49 assists for 78 points while receiving the Lady Byng Trophy as the league's most gentlemanly player. Phil later also played two seasons with the Buffalo Sabres and concluded his NHL career in 1972 as a New York Rangers once again. Phil's friend Dollard St. Laurent showed up to support his good friend and the two reveled in more stories and additional photos. "Dollard is one of my golfing buddies," Phil mentioned. "I think we've played about a hundred rounds of golf this summer." "Wow," exclaimed a friend. "That's unbelievable!" "Not really," Phil responded matter of factly. "I played 130 rounds last summer!" By 9:30 that night, the visitors dwindled and Phil and Ginette Goyette got a chance to catch their breath and reflect on a perfect day with the Stanley Cup. Tuesday, the Stanley Cup Journal flips its pages to visits with Dickie Moore, Phil Samis and Marcel Bonin -- Stanley Cup champions all. 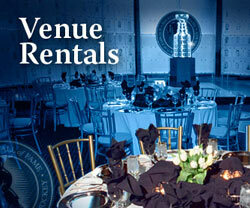 Kevin Shea is the Manager of Publishing and Editorial Services at the Hockey Hall of Fame.